Start off your visit on the 15th (Fri): enjoy the sand and surf at Yapak Beach (Puka Shell Beach), enjoy the sand and surf at White Beach, and then see some colorful creatures with a scuba or snorkeling tour. 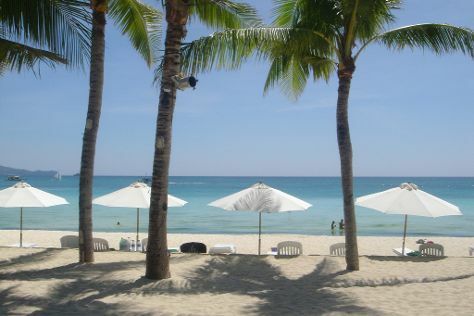 To see other places to visit, reviews, where to stay, and other tourist information, use the Boracay trip itinerary builder website . If you are flying in from Philippines, the closest major airport is Kalibo International Airport. Expect a daytime high around 33°C in March, and nighttime lows around 27°C. Finish up your sightseeing early on the 15th (Fri) so you can travel to Taipei. Start off your visit on the 16th (Sat): buy something for everyone on your list at Taipei 101, get engrossed in the history at National Palace Museum, and then don't miss a visit to Chiang Kai-Shek Memorial Hall. For other places to visit, ratings, where to stay, and other tourist information, go to the Taipei trip maker website . You can do a combination of ferry and flight from Boracay to Taipei in 7 hours. Traveling from Boracay in March, expect Taipei to be a bit cooler, temps between 25°C and 17°C. Wrap up your sightseeing on the 16th (Sat) to allow time to travel to Alishan. On the 17th (Sun), get engrossed in the history at Alishan Museum, then delve into the lush surroundings at Alishan National Forest Recreation Area, and then take a peaceful walk through Fenqi Hu Old Street. For more things to do, traveler tips, ratings, and other tourist information, use the Alishan sightseeing website . Traveling by car from Taipei to Alishan takes 4.5 hours. 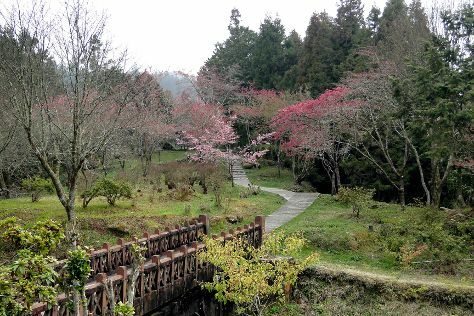 When traveling from Taipei in March, plan for little chillier days and about the same nights in Alishan: temperatures range from 19°C by day to 18°C at night. Finish your sightseeing early on the 17th (Sun) so you can travel to Taichung. Start off your visit on the 18th (Mon): engage your brain at National Museum of Natural Science, then explore the world behind art at Western Museum, then take in the architecture and atmosphere at Taichung Baptist Church, and finally see the interesting displays at Gen.Sun Li-Jen Residence. For photos, traveler tips, and more tourist information, go to the Taichung trip itinerary website . You can drive from Alishan to Taichung in 3 hours. Traveling from Alishan in March, expect nights in Taichung to be about the same, around 16°C, while days are a bit warmer, around 25°C. Wrap up your sightseeing on the 18th (Mon) early enough to travel to Puerto Princesa. 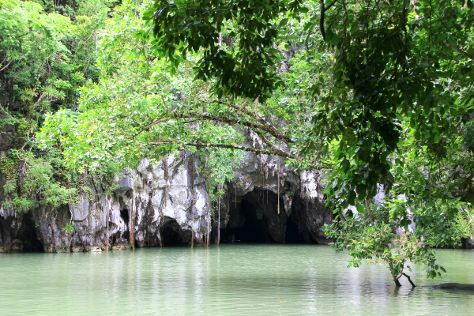 On the 19th (Tue), explore the wealth of natural beauty at Puerto Princesa Underground River. For other places to visit, ratings, and other tourist information, go to the Puerto Princesa trip itinerary planner. Traveling by combination of train and flight from Taichung to Puerto Princesa takes 7 hours. Alternatively, you can fly. Traveling from Taichung in March, things will get a bit warmer in Puerto Princesa: highs are around 37°C and lows about 28°C. Finish your sightseeing early on the 19th (Tue) to allow enough time to travel to Bohol Island. Bohol Island attracts visitors with its landscape, natural heritage, and culture. Start off your visit on the 20th (Wed): identify plant and animal life at Tarsier Conservation Area, then don't miss a visit to Cambuyo Rice Terraces, and then take in the dramatic natural features at Chocolate Hills. To see more things to do, photos, maps, and more tourist information, read Bohol Island trip itinerary planning app . You can do a combination of flight and taxi from Puerto Princesa to Bohol Island in 6 hours. Other options are to do a combination of flight, car, and ferry; or do a combination of flight, ferry, and car. In March, daytime highs in Bohol Island are 36°C, while nighttime lows are 26°C. Cap off your sightseeing on the 20th (Wed) early enough to travel back home.